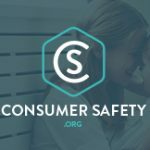 An Outreach program dedicated to keeping the public informed about consumer dangers and safety issues associated with numerous products that can cause the public serious harm. Our website is continuously updated with breaking news from Government agencies, Watchdog Groups, and concerned citizens regarding product recalls and medication safety. 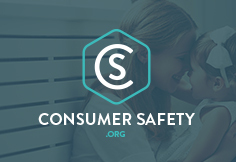 A website that strives to make information about recalls and safety-related news about drugs, medical devices, food, and consumer products accessible to everyone in a transparent, easily understandable way. Contains some FACS lesson plans, recipes, videos, links, Jeopardy & Millionaire power point templates. A Family Consumer Science publishing company that publishes lesson plans, booklets, and even adorable vintage looking FACS note cards, calendars, recipe cards, etc. Templates for creating 16 types of online activities, including flash cards, word search, battleship, challenge board, and cloze exercises. Quia activities are designed with different learning styles in mind to suit the needs of all your students. Complete online testing tools that allow you to create quizzes, grade them with computer assistance, and receive detailed reports on student performance. I'm attempting to sign up for the newletter. I keep getting an error message. I think this site is amazing! I'm trying to sign up for newsletter too — but I keep keeping a validation error. Asks me to fill in all blanks — but I've filled them in! I am sorry you are having trouble I will look into it. In the mean time please email your information to information@familyconsumersciences.com and I’ll add you to the list. I'm very interested in creating an interactive notebook with my nutrition students. The problem I seem to be running into is that most websites for interactive notebooks are geared toward science or younger ages. If you come across any good ideas for an interactive nutrition notebook for high schoolers, please, please post them. Your website is awesome! I'm also following you on Pinterest! Great question! None that I have found but I am working on creating some so stay tuned! There is no membership the resources are free. Sign up for our newsletter to stay up the latest posts. I love all of the new ideas . Any hints/tips/tricks to passing the Family and Consumer Science exam? I'm applying to a high school teaching position in OK, and would have to pass the teaching exam to keep the position, if hired. I'm taking it April 11th, and have purchased a study guide (which I've been using), but would LOVE some extra input! Thanks!